Hope you guys had an awesome weekend! 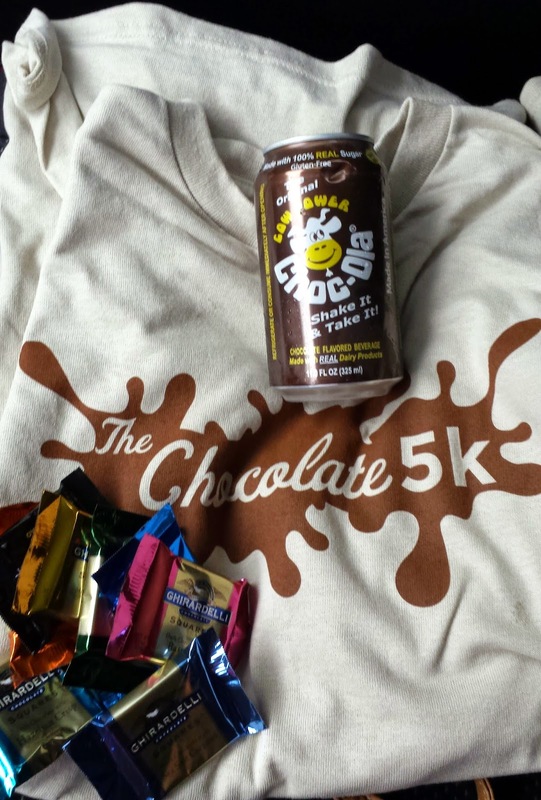 On Saturday I ran The Chocolate 5k. I won a free entry a couple months ago, and thought it sounded like fun! 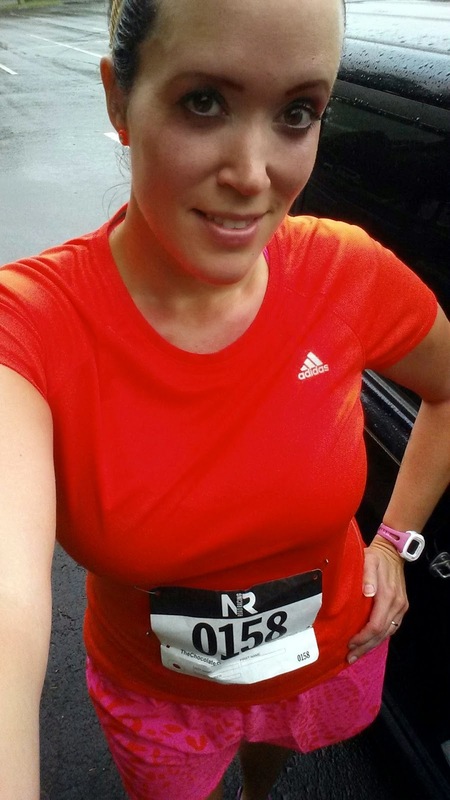 I can take or leave chocolate (I'm an ice cream girl all the way), but I just love running races, and it had been awhile, so I knew I wanted to do it. It was a very rainy morning. About 30 minutes before the race started, the rain pretty much stopped and it was just a light drizzle from then on. That was actually nice to run in. Most of the race was on a trail, just grass. I was very cautious because there were lots of little holes and being on the uneven terrain, and my leg/ankle hurting, I knew I could easily step wrong and get hurt even worse. So I went pretty slow and walked a few times. 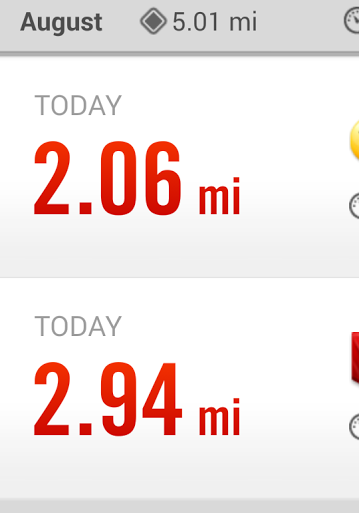 As I was coming up to the finish line, I realized that my Nike app hadn't even reached 3 miles yet. I started walking, and looking around a little bit, thinking maybe I had missed a turn somewhere. I didn't do my normal sprint to the finish line, because I thought there must be a mistake! I went ahead and crossed the finish line, but no one mentioned the course being short and everything seemed just fine. I'm convinced Ghiradelli is the best chocolate on the planet, and the Chocola was yummy too! I wasn't sure what to expect, but it just tasted like chocolate milk. After the race I decided to run a couple more miles to make it an even 5 for the day. I SO bad wanted to run for hours and hours, but with my leg/ankle in pain, I knew I couldn't. One of my IG friends suggested that maybe it was my Nike app that messed up, not that the course was short. I'm thinking that may be the case now too. I looked at the results online and my time was 34:26. I can't wait till this injury heals and I can start working for the sub 30 5k again!! Have you ever ran a race that was not measured correctly? Are you a Divergent fan? I have the books & want to read it before I watch the movie. My nike watch has been loosing connection lately showing less miles too. What's going on!?!?!? I was thinking I need a new shoe pod. Maybe it's just Nike! Lol! I use the app on my phone, it might be time for a new shoe pod for you. Gosh hope you feel better soon. Courses are normally officially measured, so its best to trust the course and not your gps device. I think it probably was my gps that messed up. Thanks Michelle! Just chocolate milk in a can. When I first heard about it, I thought it would be carbonated- gross! Thanks David! I really hope the doctor can figure everything out for you. Thanks Abby. It'll be good to know what's going on with it! Yes, you'll have to keep us updated. I'm sorry it was raining and that your leg was bothering you during the race. It sounds like you did the smart thing and took it easy. No reason to make things worse. Hope you feel better soon! I've run a couple of small races that were a little short. It's a bummer when you get a PR on one of those courses because it's hard to beat on a full-length course! That sure is a bummer when you think you've pr'd, only to find out the course was short! Thanks Beth! Hi! I found your blog through a comment you made somewhere else and I had to investigate because of the title! There's a 5k and 10K at Knott's Berry Farm that seems to always be measured short. No biggie. It's such a fun run, I don't think people really care. Ghirardelli chocolate after a run sounds like heaven! 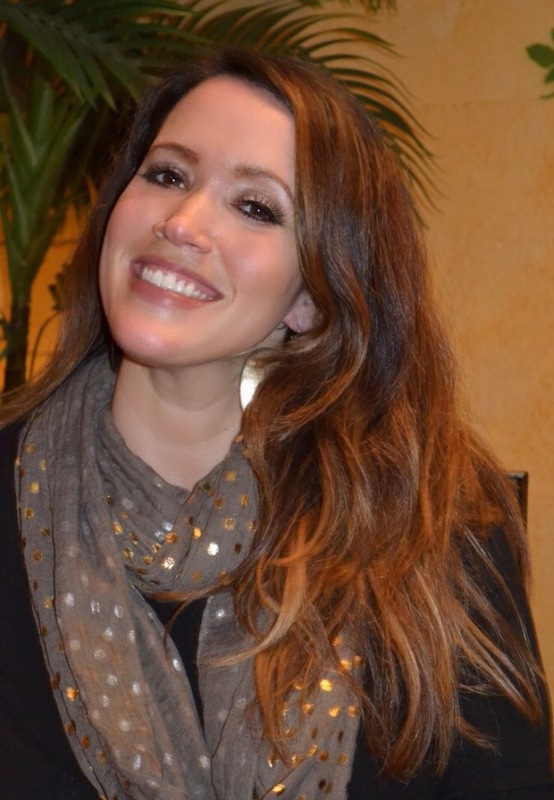 Welcome, Jennifer! Knott's Berry Farm would be a fun place for a race. As for a chocolate race, most people probably just run it for the chocolate anyway, so they don't really care either. And the chocolate was deelish!! Oh no! I just don't understand how they can be that far off! Thanks Clarinda, I hope he does too!! Yes! I've run several 5ks (esp. smaller ones) that were off. Sometimes newer race or smaller races don't always know how to measure them out properly. Great job on the run and smart moving keeping it at 5 for the day while you are healing. It does seem to be the smaller races that are off usually. Thanks girl! 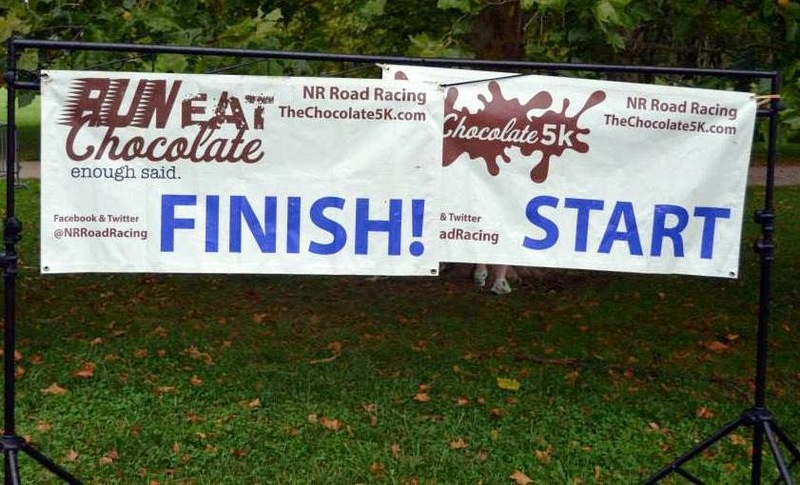 Wonder, how they were so off on yours, likely the person who did it probably just used a google type map and no one actually mapped it on foot.. odd..
A chocolate-themed race sounds perfect. Congrats on the 5K finish!